Want some entertainment in your room and you are cramped for the space then have a look at the LG new smart TV which is announced on March 8 , 2013. 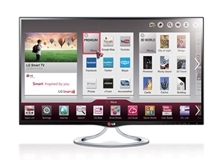 LG MT93 IPS personal Smart TV that delivers entertainment for your Rooms. 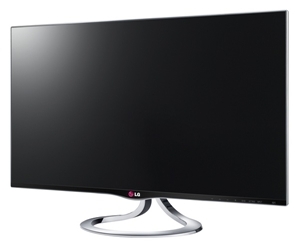 LG MT93 is a 27 inch Smart TV that can also be used as a computer monitor, Smart TV has an IPS display with an elegant design. MT93 features full HD resolution by having IPS display it delivered true life colors plus a wide viewing angle. 3D and 2D hardware conversion, Smart TV also features Miracast and WiDi for wireless content sharing and screen mirroring from compatible devices, 3D sound zooming speakers and three USB ports also included in LG MT93 Smart TV. As a Smart TV, the MT93 has a LAN port and WiFi for network connectivity and offers access to a range of online content services such as Netflix, YouTube and Hulu Plus. Users can also download apps from LG’s Smart TV platform. With built-in browser, you can use the TV for web browsing without a PC, and the Picture-in-Picture (PIP) capability allowing users to view two different shows at the same time or browse their Facebook account while watching a TV show. The Smart TV comes shipped with a Magic Remote that supports voice recognition, gesture, scroll and click controls, and 3D Glasses. In LG MT93 network connectivity is also supported through LAN and WI-Fi though which users can access to a wide range of online media such as YouTube and Hulu Plus. Apps downloads are also available through the LG Smart TV Platform. Picture-in-Picture capability of this Smart TV allows users to view two different screens at a single time such as you can watch any TV show and Browse the internet with a screen Split view.